Come join Outdoors Inc. at our Cordova location at 6:30 on February the 6th. 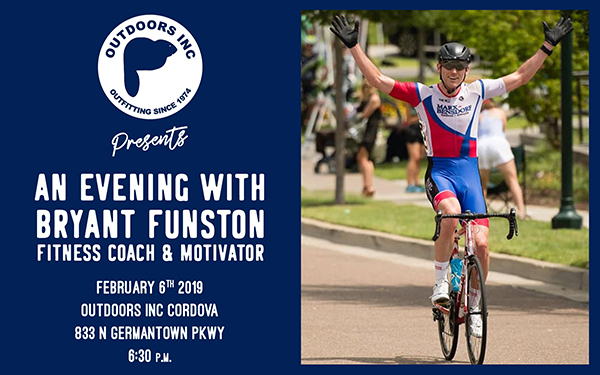 Coach Bryant Funston from BPC will be talking about the importance of setting exciting fitness goals, tips on how to keep motivation up, and the importance of good habits/routine in order to keep yourself on track, even on those days you feel like throwing in the towel. Outdoors Inc. will be providing light snack, drinks, and beer for the presentation. Outdoors Inc. will also be providing a 15% discount on anything in the store, cycling related or not!